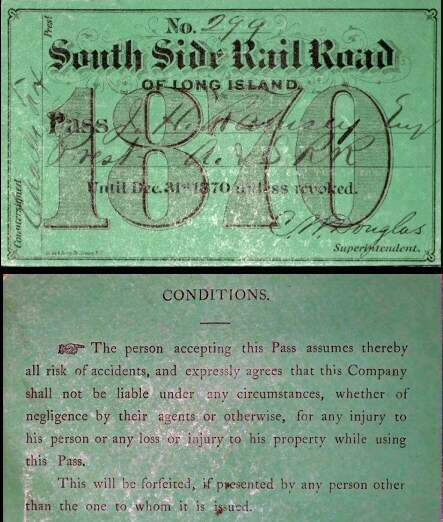 The South Side Rail Road of Long Island was incorporated March 23, 1860. 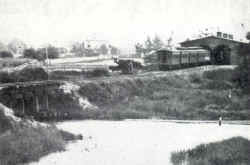 The period of time allowed for completion was extended by two years in 1864 and again in 1866. 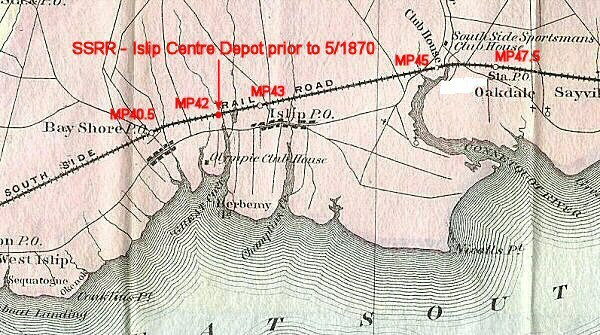 Work began May 28, 1866 and in September 1866 the Directors voted to extend the road to Patchogue. On October 28, 1867 regular service began between Jamaica and Babylon. 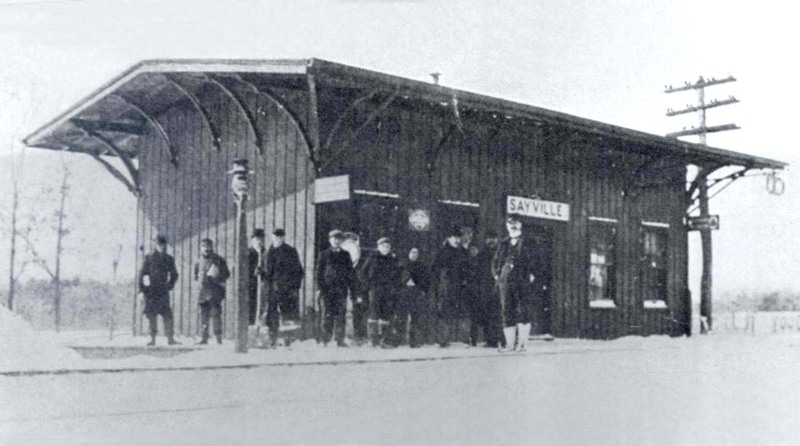 In December 1868 service began to Sayville and in April 1869 to Patchogue. 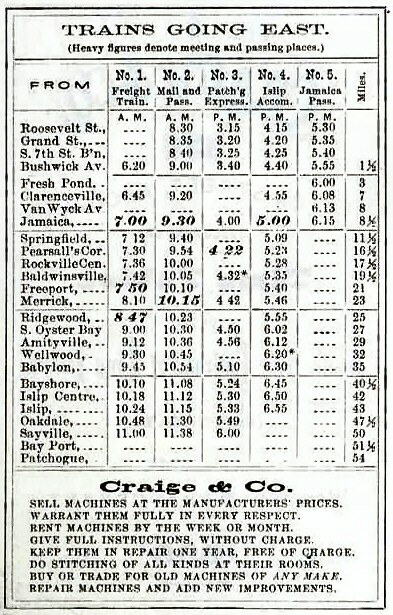 Until June 1872, the South Side RR enjoyed the advantage of a monopoly of the traffic on the south side and to Rockaway. 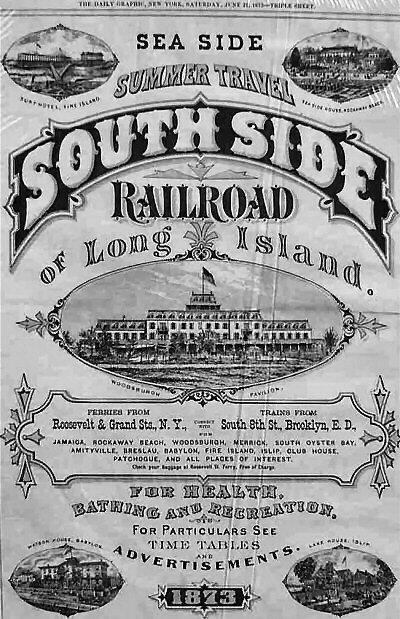 The first serious inroad into the South Side's prosperity was the opening of the Long Island Railroad's Rockaway Branch in June 1872. 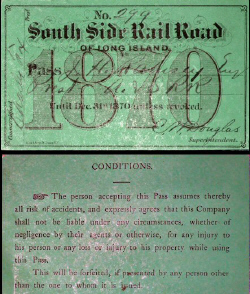 In July 1874 the South Side Rail Road was sold in foreclosure to the owners of the Flushing, North Shore & Central Railroad Company, Adolph Poppenhusen, et al. 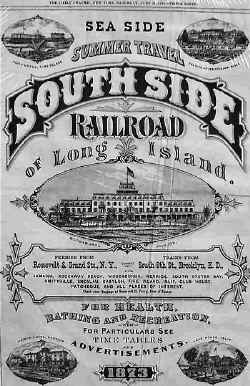 The new corporation was named: The Southern Railroad Company of Long Island. 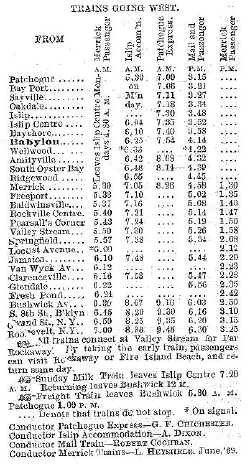 On Wednesday evening, April 30, 1879 the last train ran from Hempstead to Valley Stream. 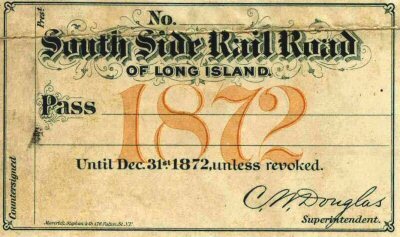 The South Side RR's valuable main line, a big money maker because of the summer trade, continued to bear the Southern RR label only until December 1879, when the owners, Drexel, Morgan & Co., reorganized it as the "Brooklyn & Montauk RR," which was then leased to the Long Island RR. 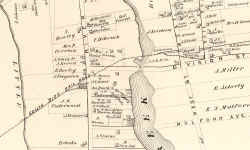 Finally, in March 1880, the receiver issued an order erasing the road's identity completely. 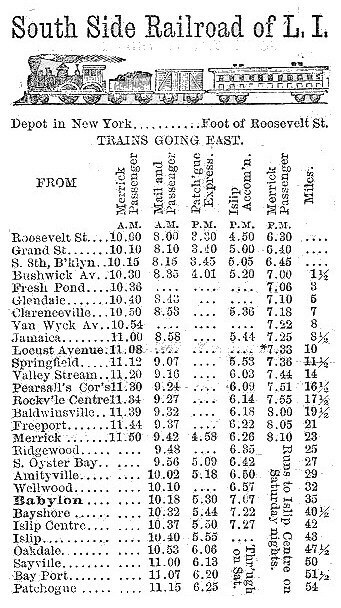 As of that month, the whole Southern RR was, in the future, to be referred to simply as the Montauk Division of the Long Island RR and so it remains to this day. In October 1889 the Brooklyn & Montauk RR was formally merged into the Long Island Rail Road and the subsequent history of the old road becomes the history of the Long Island Rail Road. S.S.R.R. 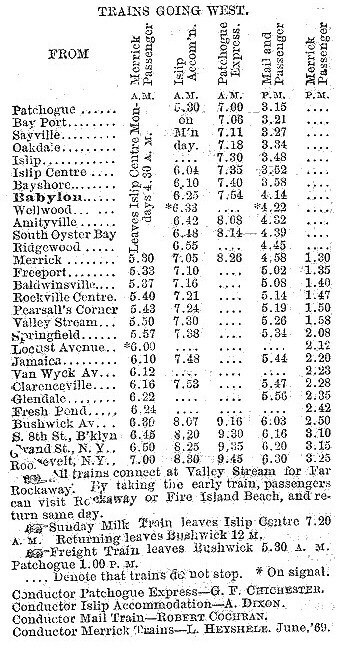 timetable westbound 1/01/1869 until April, 1869 as Sayville was the terminus until April, 1869. 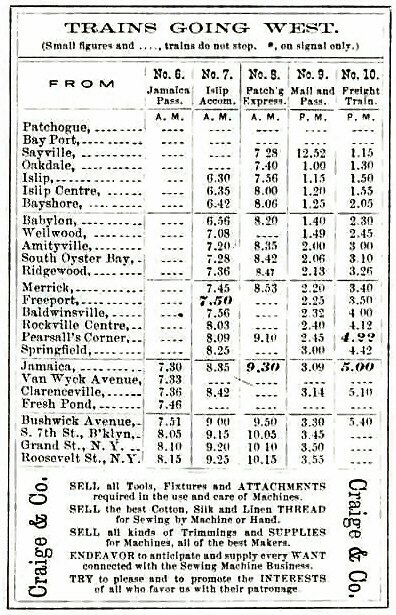 First appears under its old name of Penataquit on timetable of May 20, 1868. 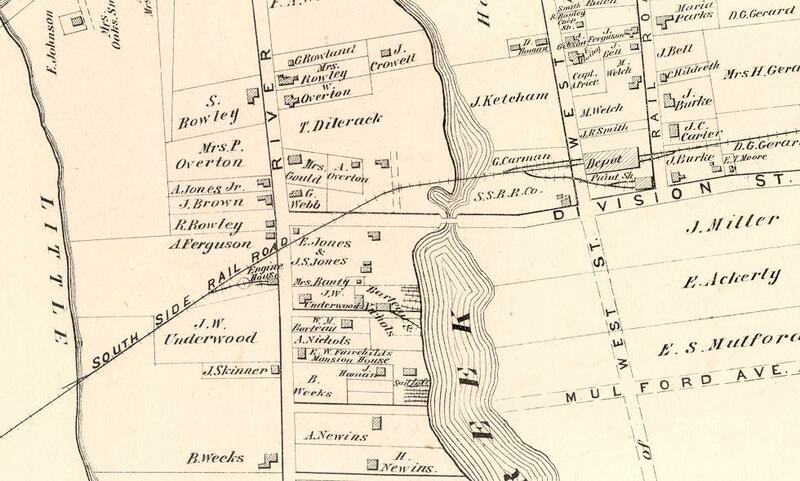 In July 1868 the name Bayshore first appears. 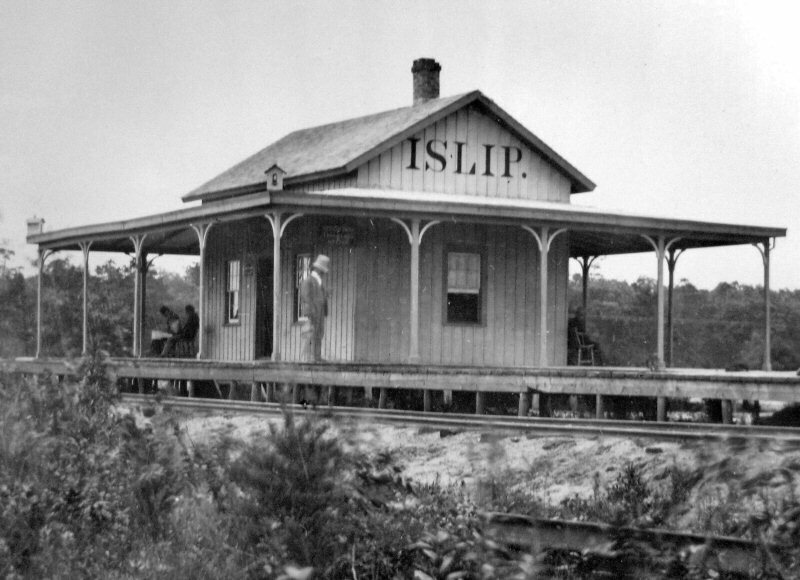 Islip Centre - Depot located one mile west of Islip depot. It may have served the Olympic Boat Club members at the foot of Saxon Ave. 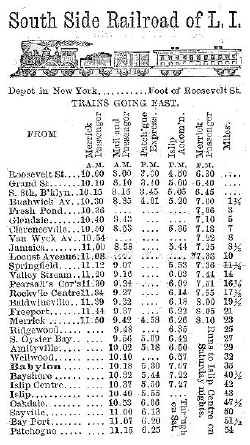 Dropped from timetable of 5/1870. 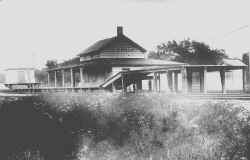 was still a valid stop and Club House did not yet exist. 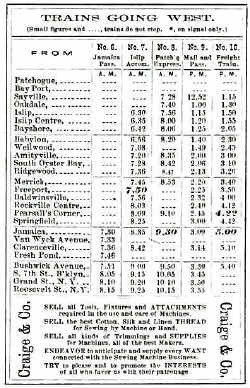 If Islip Centre was moved on 8/19/1869, and Club House was opened sometime in 1869, then that "sometime" had to be between 8/12/1869 (the day after this timetable was issued) and 12/31/1869. 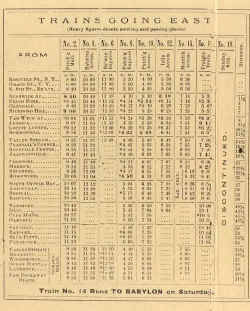 By the May, 1870 timetable, Club House was listed as a station stop. 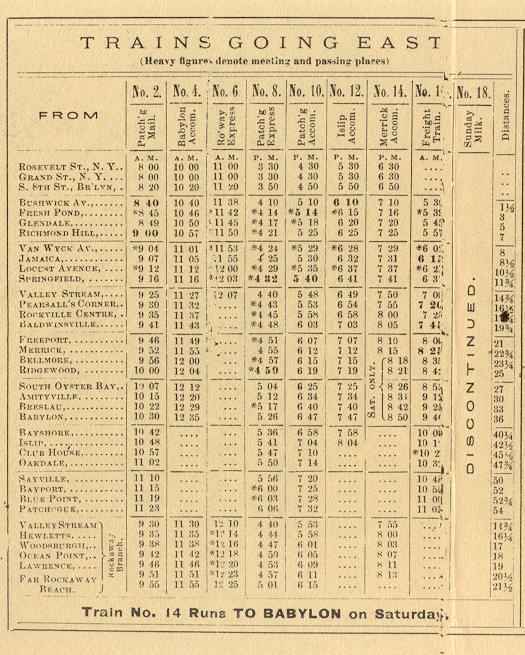 This timetable proves that the depot was opened AFTER the Islip Centre depot was moved east ...further evidence that these structures were very possibly one-and-the-same. 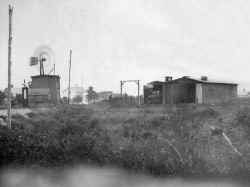 It's a distinct possibility that this depot, after being moved east, became the depot at Club House. Islip first appears on the timetable of May 20, 1868 as the terminal of the road and so remains until the September 1, 1868 timetable. 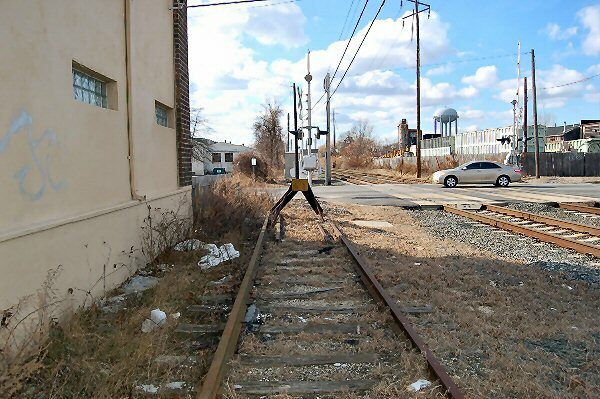 The milepost 45 in the photo was not the LIRR�s, but the SSRR�s and, as their mileage was calculated from a different starting point, was off slightly from today�s MP45. New terminal in service: 4/1869. 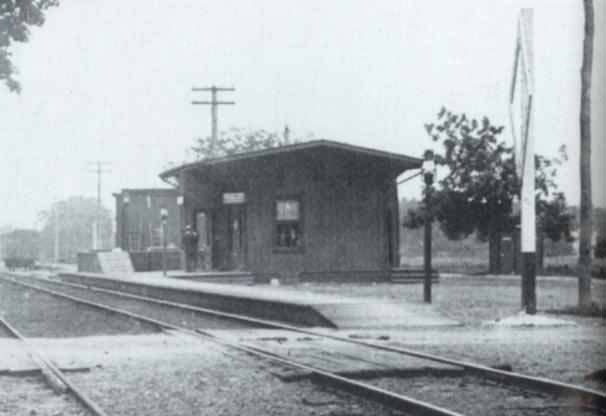 220� long, 2-stall train shed/depot opened: 8/1869. Razed: 1888.